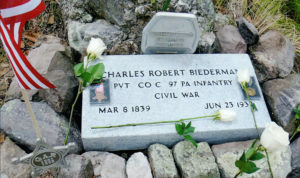 Charles Robert Beiderman was a Civil War soldier. After he emigrated from Germany in 1860, he enlisted in C Company., 97th Pennsylvania Volunteers, on February 25th, 1865 in Williamsport, PA. He joined Sherman ‘s army as they fought in North Carolina. The regiment was disbanded on September 5, 1865. Beiderman was a homesteader. His United States citizenship was granted in St. Louis, Missouri on August 23, 1875. In 1903 he came to Carr Canyon. A Homestead Patent for 95 acres was signed by President Taft on January 6, 1910. 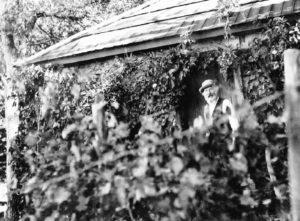 His Homestead Proof showed a two-room stone house, a workshop, a cellar in the mountainside, a garden, walnut trees, 3300 feet of fencing, and 1500 feet of water pipe. Beiderman was a horticulturist. Between 1907 and 1908, he planted almost 300 walnut trees along Carr Creek. He devised an improved method of grafting English walnuts to the native Arizona walnut trees. His 1915 pamphlet was used by Luther Burbank for California nut production. U of A students and visitors from Russia called him “Professor” when they studied his methods. 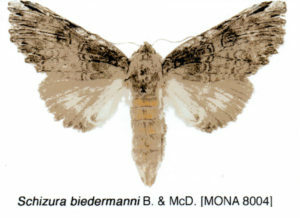 Beiderman was a entomologist. His collections of Western species established his name and reputation in museums and private collections. There are three moths and a butterfly names for him. He produced a new butterfly by conducting a gene study. He also designated his property as a bird sanctuary. 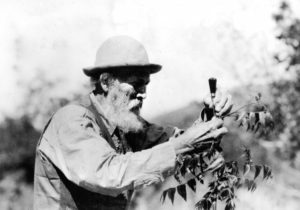 This “mountain man” is remembered by naturalists who still study in his canyon. Charles Robert Biederman brought fame to this region. the first governor of Arizona, George W.P. Hunt, visited Biederman on March 20, 1922. Beiderman took Bisbee High School students on nature hikes where they found fossils. 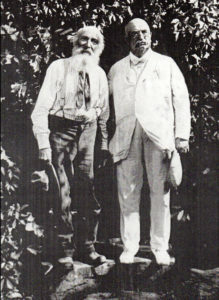 His writings, paintings, collections, and scientific studies kept him in correspondence with the American Academy of Science, The Smithsonian, Rothschilds of London and the Blair Museum of Decatur, Illinois as well as private collections. 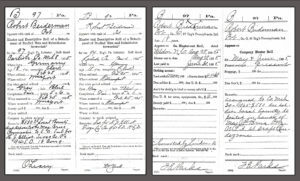 Biederman died at the Fort Huachuca Hospital from senile exhaustion on June 23, 1932. Many obituaries appeared for this “Nationally Known AZ Pioneer Scientist.” His resting place is in the canyon forest that he treasured.